DoveSoft UK specialise in web design and I.T. training for senior users. We are based in Staffordshire's premier tourist city of Lichfield and have been operating for over twenty years. Our services are available to all levels of experience and expertise, and we hope that you enjoy our web site and use some of it's demonstration software. 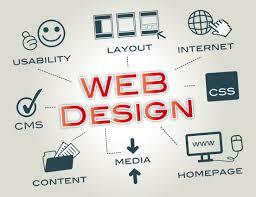 On this page we introduce the concepts and terminology of Web Design. There are several useful links for further information, including a free full course. You may have important information stored in Microsoft Office and Libre Office and here we describe how this can be released for display on the internet, including examples using data created in Microsoft Excel and Access. Our Contact page shows where to find us and brings our latest news. The contact form can be used to ask questions raised by our site. This site has been developed in response to several queries from local seniors using our main business site and the aim is to provide introductory advice on using the web with important supporting links. DoveSoft are not affiliated to any software publishers or web hosts but our aim here is to describe the products we have found most useful. For example, this site has been written with WordPress Org but we also include extensive sections on using Xara Web Designer and CoffeeCup products with reference to other web design products that you may find useful. In recognition of requests from existing clients we also describe how existing Office data can be adapted for use on the web. Our site includes demonstration spreadsheet and database web pages that have been created from existing Microsoft Office Excel and Access data.